Yesterday saw another nice stroll through the bookshop district of Jimbocho, and a new addition to the street scene gave quite a shock. 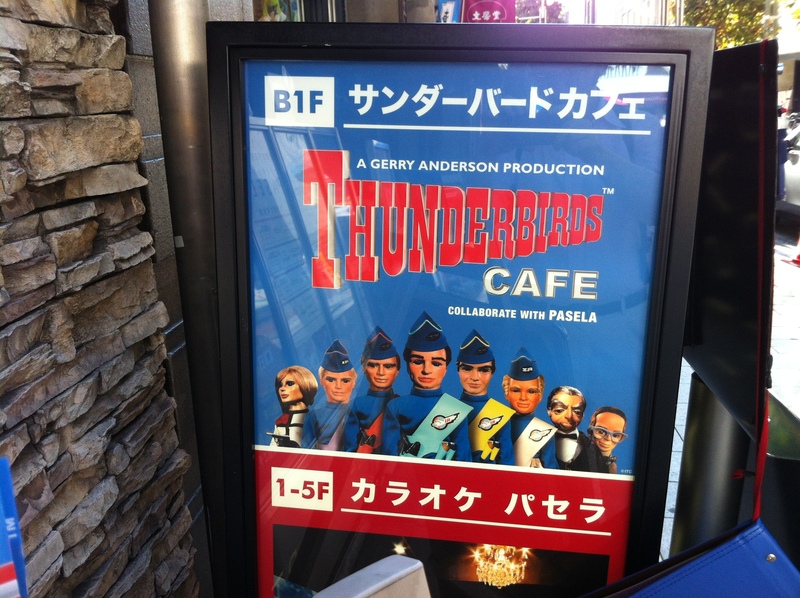 Behold – the Brand new Thunderbirds Cafe! 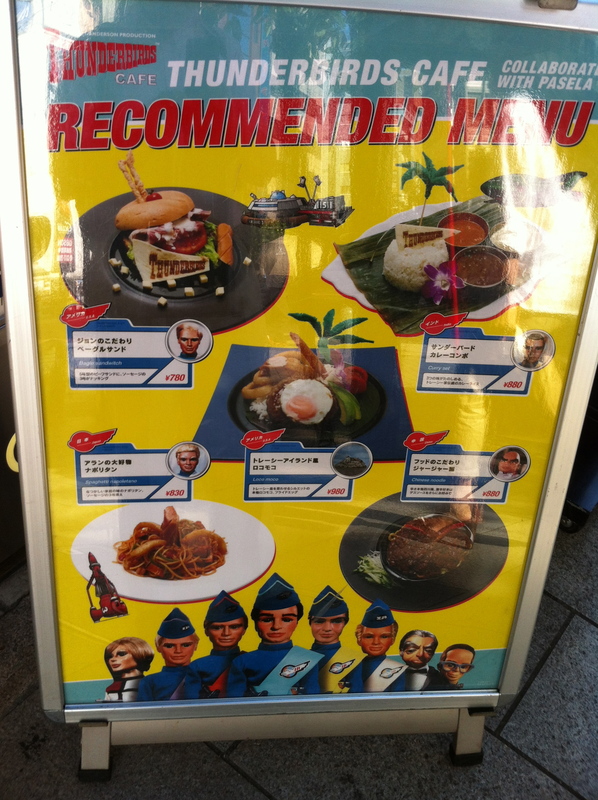 Inside, a cute young waitress wearing the uniform of International Rescue will show you to the table and offer the menu (pictured below), which features such treats as the Thunderbird One Curry Set (‘thunder is what you will sound like after you’ve eaten it), John Tracey’s Thunderbird 5 Bagel Sandwich (cut into the shape of a space station), Alan Tracey’s Spaghetti a la Napoli, The Hood’s Chinese Noodle Special, and the chef’s speciality, the Tracey Island Roco Moco (complete with palm trees). Is it any good? 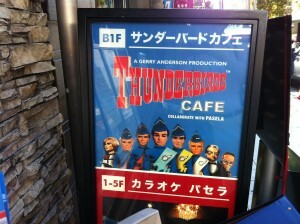 I don’t know – because, believe it or not, I was too embarrassed to go inside. This entry was posted in Japan, TV. Bookmark the permalink.